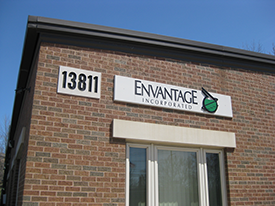 Envantage, Inc. provides high quality technical consulting and analytical support to the refining, natural gas producing, chemical processing, polymer, and rubber industries. Our international client base is varied and includes refineries, chemical plants, wastewater treatment plants, power plants, individual laboratories, product manufacturers and polymer/rubber producers. Our goal is to provide high quality laboratory services using the most advanced and novel technologies. With emphasis on courtesy, promptness, cost – effectiveness and professional expertise, our laboratory continually strives for testing accuracy and responsiveness to our clients’ needs. Gas Analysis: Fixed Gas, Natural Gas, Extended Natural Gas, Refinery Gas, Landfill Gas, Stack Gas, Off Gas (odor identification), BTU Determinations and most GPA methodologies. Hydrocarbon Analysis: Crude Oil, Refinery Products, Physical Distillation, Simulated Distillation (SimDis), Purity Determinations, Hydrocarbon Fingerprinting, Waste Oils, CHN&S, and MANY ASTM methodologies. Solid Waste: Pesticides and Herbicides, PCB’s, Ignitability/Corrosivity/Reactivity, Refinery Sludge and MANY SW846 methodologies. Other Analyses: Well Fluids, Hg, Coal and Coke, Proximate & Ultimate Analysis, OECD methods, etc. 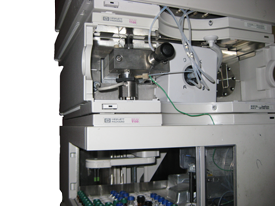 Pre-screening tests of fuels: efficient and fast monitoring of combustion products. Our unique combination of techniques permits fast comparison of fuels by determining levels of green-house gases, priority pollutants, and other combustion products. 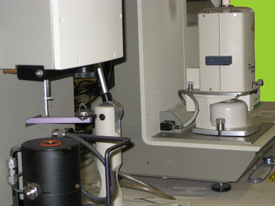 Determine contamination, identification of samples: solids, liquids, and gases. Evolved Gas Analysis: by coupling our thermal techniques with FT-IR we provide the identity of products evolving at various conditions. Browse the testing methods listed above in the Testing Methods Menu to get an idea of specific tests available from Envantage Laboratory Services. Keep in mind that these are only partial listings of the hundreds of tests available through our full service lab. From routine testing to customized research programs, we have the equipment and expertise to address your testing needs. Please let us know what your requirements are. Contact Us and call or email for a personalized quotation.